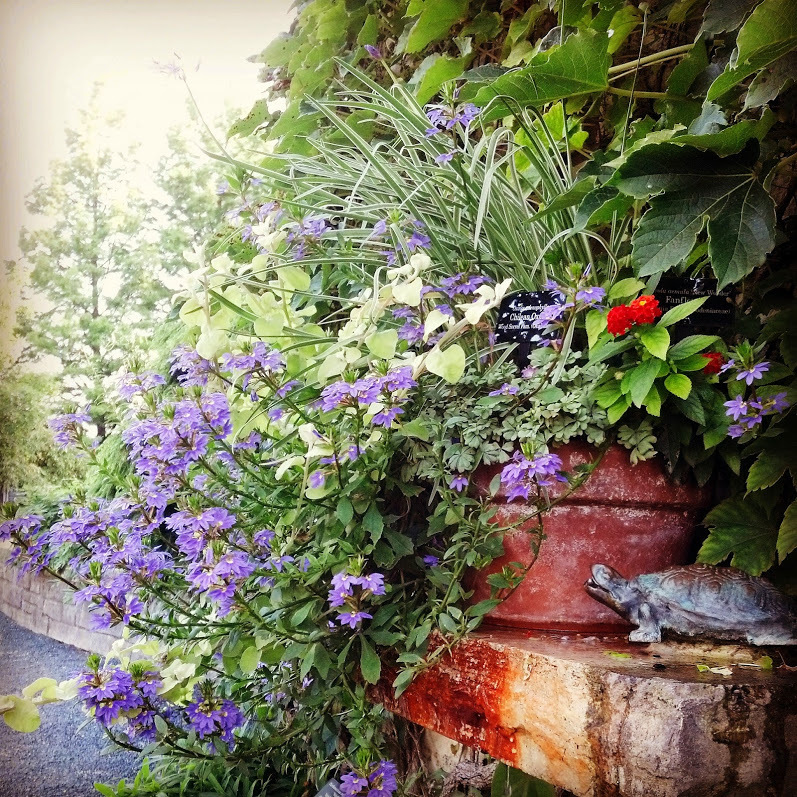 One should never assume that this late in the season we are done with blooming bulbs—that simply isn’t the case. There are still plenty of bulbs blooming their hearts out! 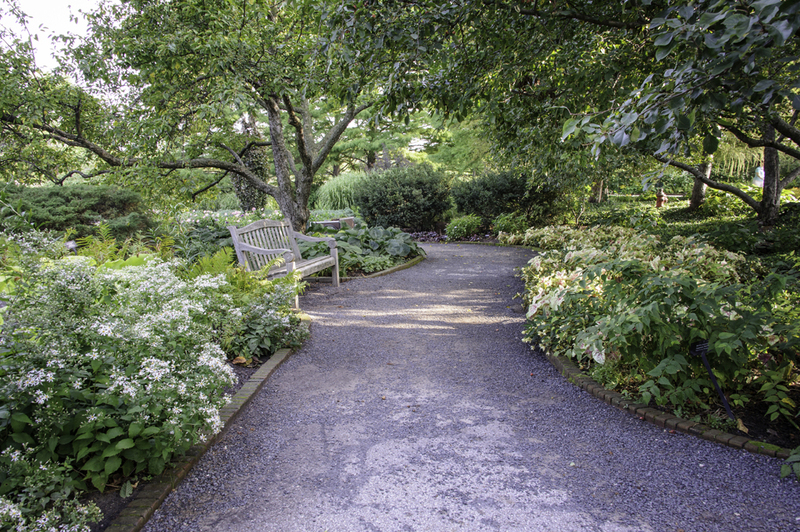 Summer annual bulbs like dahlias, cannas, and begonias are still blooming like crazy, and several unusual perennial bulbs are just starting their show. Annual bulbs such as Dahlia help carry the Graham Bulb Garden through the summer. 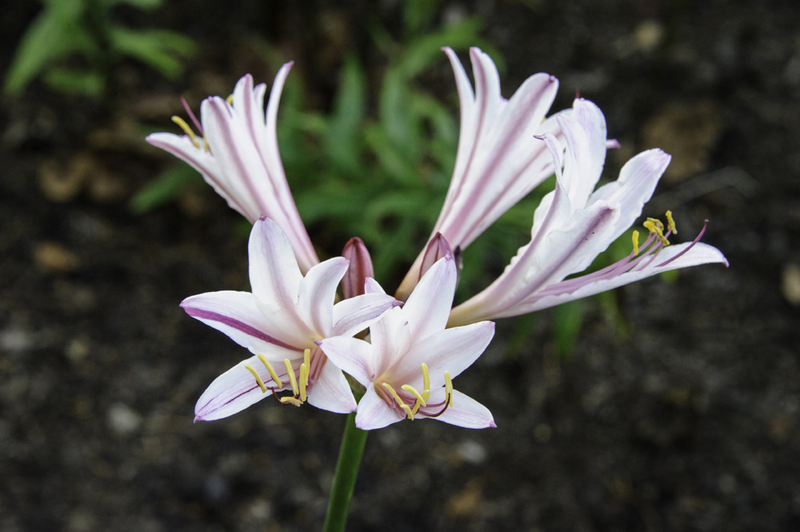 Lycoris have many common names—surprise lily, magic lily, naked ladies, and several more—which allude to the fact that these flowers spring forth from bare ground with no leaves in sight. (They leaf out in spring without blooming and then go dormant; blooms appear in fall as a single stalk appears from the bare ground where the bulb resides.) There are currently two species blooming in the Graham Bulb Garden. 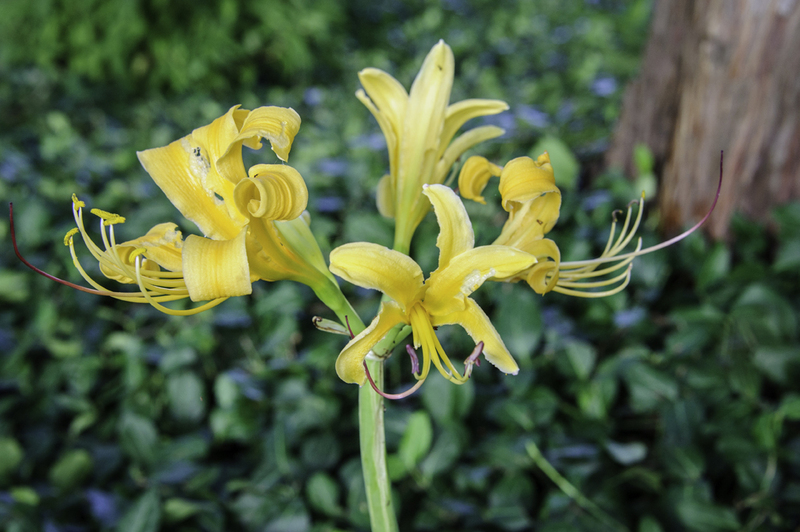 Lycoris chinensis has beautiful golden-yellow flowers, and Lycoris incarnata has pale pink flowers striped with magenta, giving it the common name of peppermint surprise lily. Autumn squill (Scilla numidica) is a rarely-seen relative of the spring blooming Siberian squill (Scilla siberica). 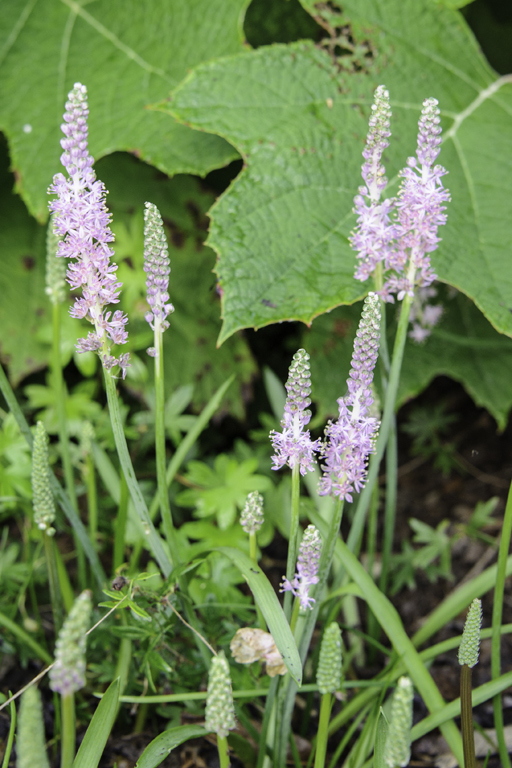 It features soft pink wands of flowers that will gently reseed to form a colony. 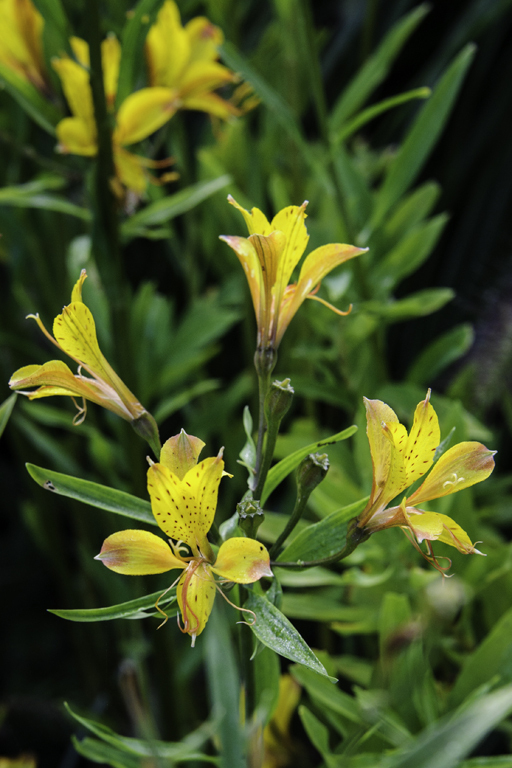 Alstroemeria ‘Sweet Laura’ is a hardy relative of the ever-popular florist alstroemeria. 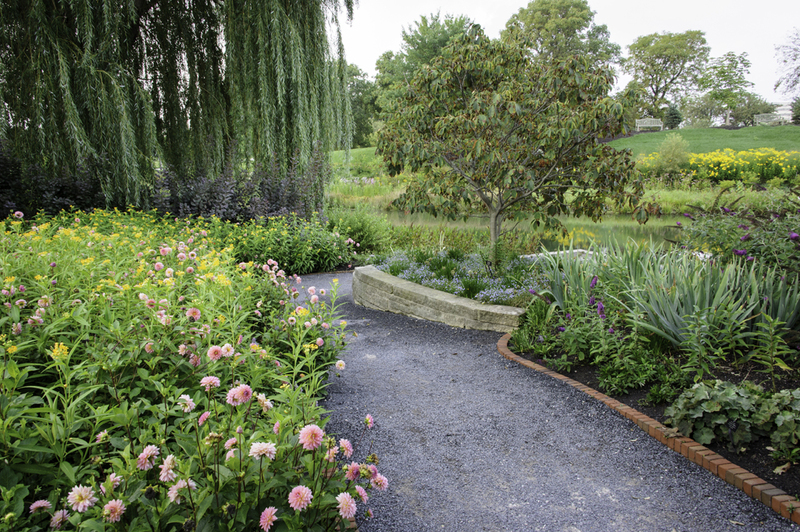 The yellow-and-orange blooms begin in July and persist for weeks. Just like their cultivated relatives, these make excellent cut flowers. The shadier parts of the Bulb Garden aren’t being left out this late in the season, either. Annual bulbs such as Begonia ‘Million Kisses Honeymoon’ and Caladium ‘Raspberry Moon’ help light up a dark area under the crabapples (Malus ‘Selkirk’). And containers spill over with a cascade of blooming bulb varieties. Begonia ‘Million Kisses Honeymoon’ and Caladium ‘Raspberry Moon’ light up the right side of the path, while wood aster (Eurybia divaricata) helps hide the bare stems of the lilies on the left side. Bulbs even work in containers! This container in the Bulb Garden features a mix of annuals: Scaevola aemula ‘New Wonder’, Lantana ‘Little Lucky Red’ and Helichrysum petiolare ‘Limelight’ with a pair of smaller-scale bulbs, Tulbaghia violacea ‘Silver Lace’ and Oxalis adenophylla. There is still a lot going on in the Bulb Garden, and there is still more to come!